The Finance Consultant supports Green Knowledge project teams in both the resource mobilization process and the result delivery process. The Finance Consultant is responsible to support administration and financial operations for the Green Knowledge Project specifically GADING project funded by MCA-I. The Finance Consultant has oversight the financial administration and procedures, input data of financial transactions, input the correct data from project financial transactions. The Finance Consultant is also responsible for working closely with the programme team and finance team to prepare financial supporting documents, financial data, and provide technical assistance to Finance Officer for. The Finance Consultant needs to consolidate financial transactions data into quarterly financial report, checking and ensuring the accuracy data from Finance & Accounting Officer, compile financial data from Consortium Members and review financial aspects of project reporting and compliance as required by the donor; monitoring project cash flows. 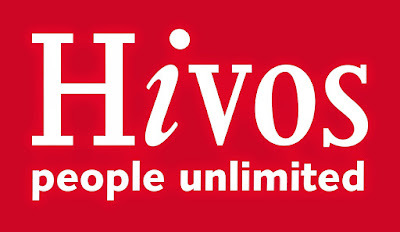 The Finance Consultant administers and reviews the supporting documents of GADING implemented by Hivos Southeast Asia and assist the Project teams with their internal and external reporting obligations. Checking the accuracy of the supporting documents, input cash income and disbursement after checking the accuracy of the supporting documents into Accurate. Write cheque or bank transfer requests for payment to be approved by Finance Controller and or Director as a replacement officer during absence of Finance & Accounting Officer. Calculate and monitoring the accuracy of advance request and liquidation report from staff and ensure the completeness of supporting documents for approval (Advance aging monitoring). Input project financial transactions into Accurate and donor accounting report. Coordinate with Procurement Officer to ensure the accuracy of rental asset listing once a year. Support project audit by working with Finance & Accounting Officer in preparing documents and provide feedback to any question related to audit. Ensure accuracy data from payment vouchers by: checking all regular supporting documents and approval, consolidating Hivos and Consortium Member financial data into Accurate for Grant Finance Manager’s review, and filing documents. Performs other duties as may be assigned by Finance Controller or Grant Finance Manager. To apply for this consultancy position please submit your CV and a cover letter hr.sea@hivos.org, no later than 29 August 2017, with email subject: FO-GADING Only shortlisted candidates will be notified.